There's a big race coming up in Kentucky. I know most of you are thinking about the Kentucky Derby, and you're right, that is a big one. But I'm thinking of another race--a human road race called Run the Bluegrass, which starts at Keeneland in Lexington March 29. Dubbed "America's Prettiest Half Marathon," this race has been built over the last three years into an event that showcases Kentucky's horse industry, and I'm excited to be a part of it. 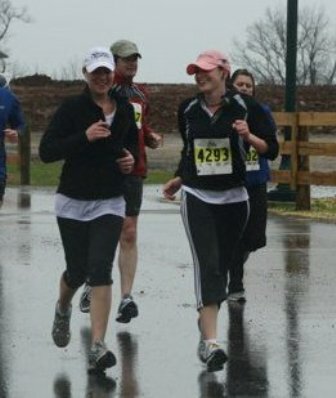 Run the Bluegrass will be the second major race that I've participated in since having a baby last August. Because it's been such a brutal winter for outdoor training, however, I signed up to run a seven-mile course of the race instead of the regular half marathon (13.1 miles). But I hear the seven-miler is still quite a challenge thanks to our wonderful rolling hills! 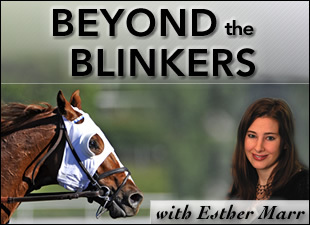 This year, Run the Bluegrass organizer Eric Patrick Marr (no relation to me) has worked with Keeneland, the Kentucky Thoroughbred Association, and local farms along the race route to give runners "up close" access to horses. 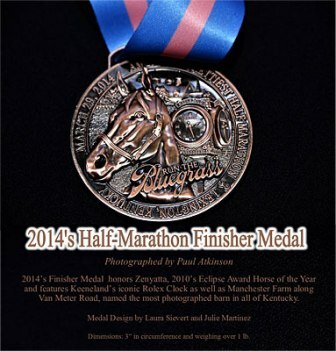 Participants will run by more than 30 Thoroughbred farms during the half marathon, including Donamire Farm at mile seven; Stonestreet Farm at mile eight; Fares Farm at mile 11; and Manchester Farm at mile 12. "People are looking for unique destination-type places to run races where they can take in all the sights and smells and build a four-day weekend around it," said Marr. "Because of our Thoroughbred farms, we have one of the most unique running experiences in the country, if not the world." 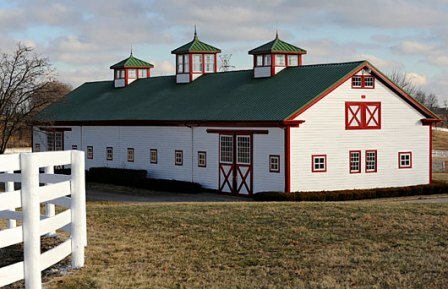 Run the Bluegrass participants also have the opportunity to purchase tickets for bus chartered, private tours of Lane's End, Ashford Stud, as well as bourbon distilleries and well-known eateries while they're in town. Last year 40% of runners traveled from outside of Kentucky, with 43 states and six countries represented. For the last three years, Run the Bluegrass has featured a different prominent Thoroughbreds to commemorate the event. 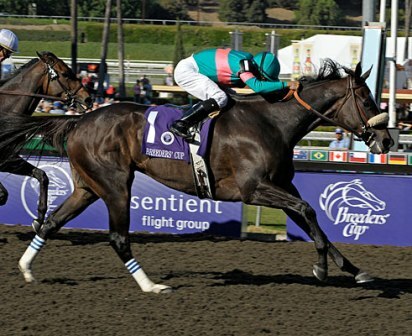 In the past, Secretariat and Genuine Risk were featured, and in 2014, Horse of the Year Zenyatta will be the mare of the race. The daughter of Street Cry's likeness will be inscribed on the finisher's medals, and her pink-and-turquoise colors will be featured on the participant's t-shirts. Have you ever competed in a road race or this race in particular? I ran in a version of it in 2010 when it was called the Lexington Half Marathon, and it rained for the entire two hours it took me to finish the race. I'm hoping to stay dry this year so I can enjoy all the gorgeous farms along the way. Sometimes I forget how lucky I am to live and run in such close proximity to the Thoroughbred greats!